Succeeding the popular Hyper 212, the Hyper 212 Plus carries on the legacy of providing a great balance of performance and noise level during high and low speed operations. It carries with it an industry leading value for performance. 4 x Direct Contact heat pipes draw heat away from the CPU quickly. A wide range PWM fan can be controlled by changing its settings through supported systems or software to suit your noise and performance needs. Supports the latest sockets from Intel and AMD. 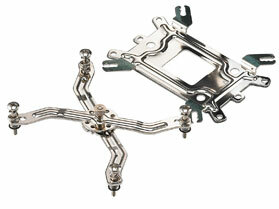 Utilize the included brackets to quickly add or remove fans for upgrades, replacement, or maintenance. 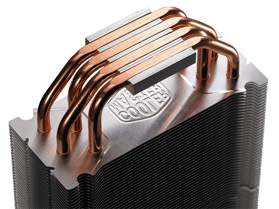 Superior Heat Dissipation The Cooler Master Hyper 212 Plus features "heatpipe direct contact" technology for efficient heat conduction, plus high-density aluminum fins for maximum heat dissipation. 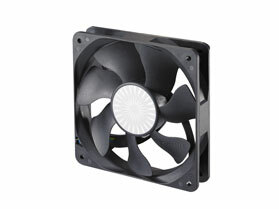 Plus a 92mm fan runs efficiently to deliver unparalleled cooling performance. 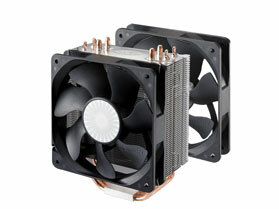 Expandable for a Second Fan Add a 2nd cooling fan (optional) to the Cooler Master Hyper 212 Plus to achieve the best possible cooling performance! 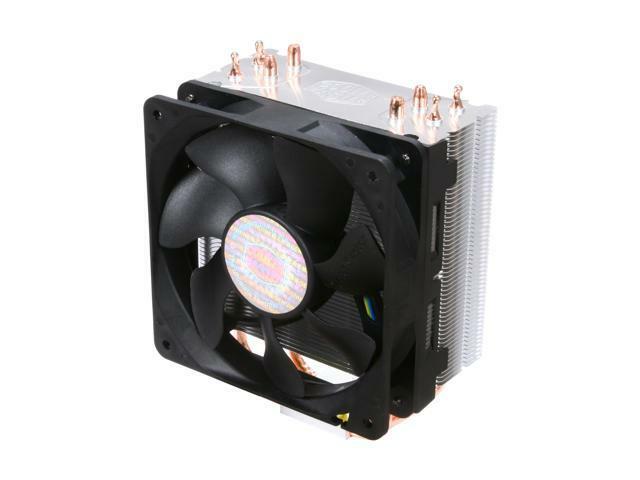 Universal Socket Compatibility The Cooler Master Hyper TX3 features broad compatibility with AMD socket AM2, AM2+ and AM3 platforms, as well as Intel LGA 775, 1156 and 1366 platforms. 4. Upgradable to dual fans and swapping of fans with extra fan-clips included. Versatile all-in-one mounting solution for Intel Socket LGA775 / 1156 / 1366 and AMD Socket AM3 / AM2 / AM2+. Pros: Originally purchased for a 2600k and used for 3-4 years keeping it perfectly cooled at 4.2GHZ. Near silent too. Four years ago I swapped it to a new 4930k. It's been a tank. Running now for 7 years! I've recently OC'd the 4930k to 4.3GHZ and have to MB set it to full to keep the CPU ~60-65c under load. It's still amazing. At full it's a bit louder but not awful. Other Thoughts: I would've liked a 2nd fan to mount to the cooler to create a push/pull setup. Always been curious how effective it could be. I liked this thing so much that when I re-built my 2600k rig ~2 years ago I ordered another to put back on it. Cons: Despite claims of it fitting Intel boards it did not fit on my Z-Rock 170, the mounting prongs for AMD motherboards get in the way making it impossible to install. I did not use this though I still have it. Other Thoughts: If I sawed off the attached metal prongs for use with AMD motherboards and used the provided brackets to mount on intel architecture this would be a non issue, for that reason I kept it, and decided to hold off using it till I was going to get more serious about overclocking my PC. Pros: Keeps my system (AMD FX) well within safe temperatures. I would occasionally get temperature shutdowns with the stock cooler on heavy CPU loads. Cons: Cut my finger on it when installing. Other Thoughts: Would easily buy this again, if I don't do liquid cooling for my next rig. Pros: Keeps my i5 7600k at 27c during regular home use. Just be sure it'll fit in your case. Got this on Black Friday for 9 bucks lol. Pros: I could overclock my processor like a dream w/ this cooler. Might just be I won the silicone lottery, but still its quite good.